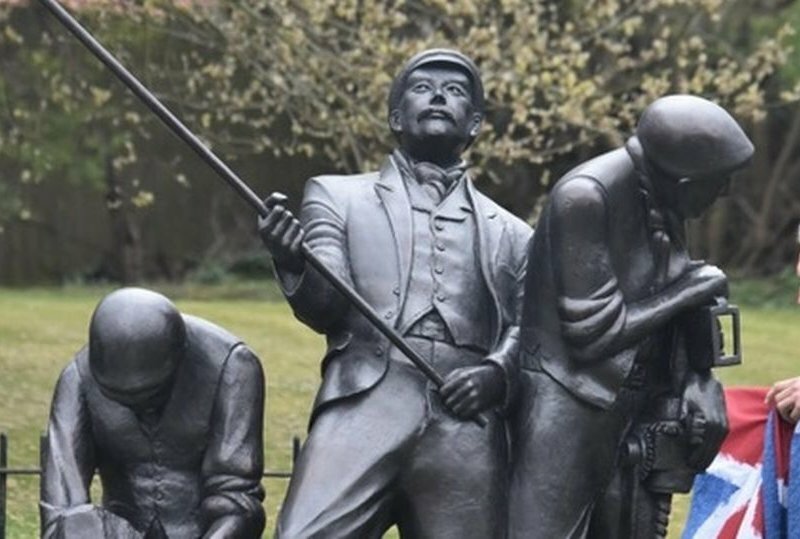 Community groups in the Skelton area of east Cleveland have unveiled (Saturday 6th April) a life size statue of ironstone miners to pay tribute to the mining heritage of the area. ‘The Spirit of East Cleveland’ now stands on a plinth alongside the A173 road that leads into the village from Guisborough. Attending were representatives of the many groups, businesses, and politicians who supported the project. 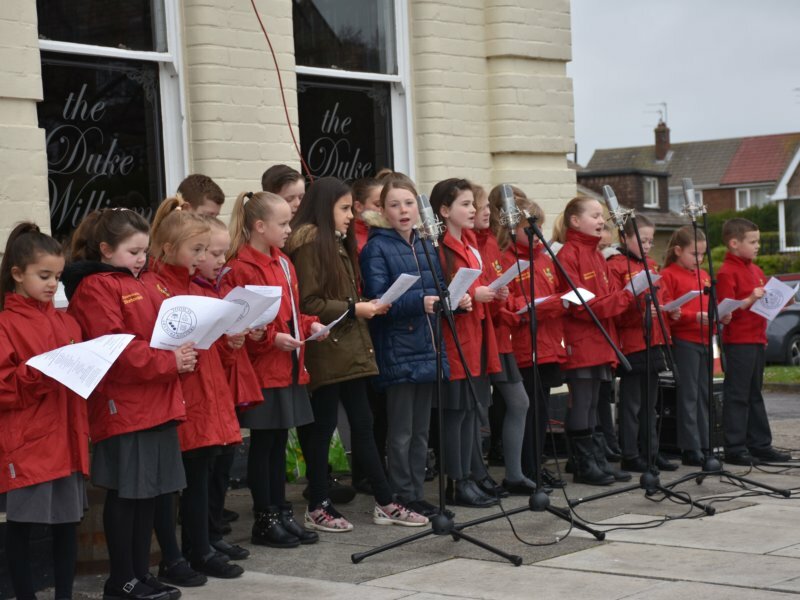 School children and a brass band also marked the occasion. 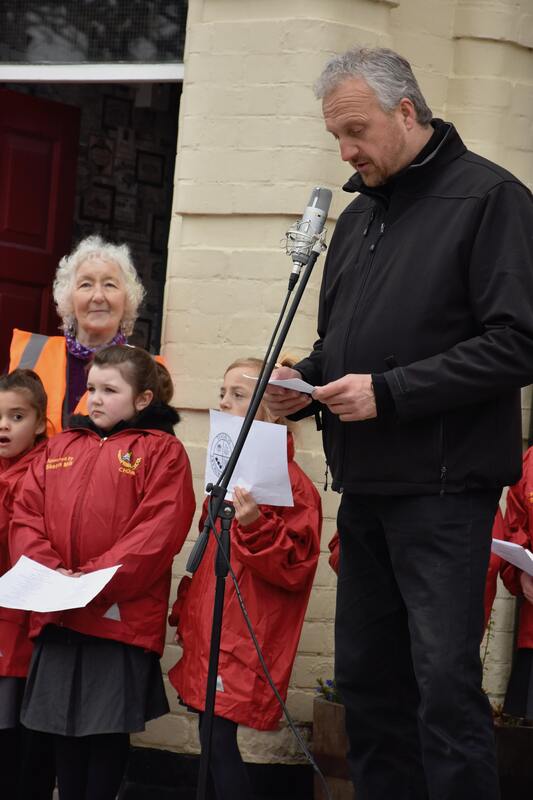 Among the crowd were the Friends of Skelton Community Orchard (FOSCO) whose treasurer and fundraiser Joyce White was deeply involved in seeing the project through. She and her husband Stuart were delighted to be accompanied by their two great grandchildren. Funding for the statue was raised through a variety of events explained Joyce: “We held a race night, tea afternoons, tombolas and a local firm raffled a glamping pod getaway break on our behalf. But we got a big breakthrough when ICL Boulby gave us a substantial cheque. However I’d like to thank all the other businesses, large and small, as well as individuals who made financial contributions. Without their backing this wouldn’t have been possible,” she added. The statue is the creation of Skelton-based sculptor Bill Harling and it was unveiled by Craig Hornby, a local filmmaker whose documentary ‘A Century In Stone’ tells the story of the discovery of ironstone and how it led to an explosion of industry and population throughout the area. “I was thrilled to find out my film had helped Bill in creating this fantastic sculpture,” said Craig. “To then be asked by FOSCO to unveil it was a real honour. It’s the finest tribute to our ironstone mining heritage in Cleveland by a long way. It was the graft, endurance and camaraderie of the mining communities through tough times that Cleveland was built on and that spirit is still relevant today”.